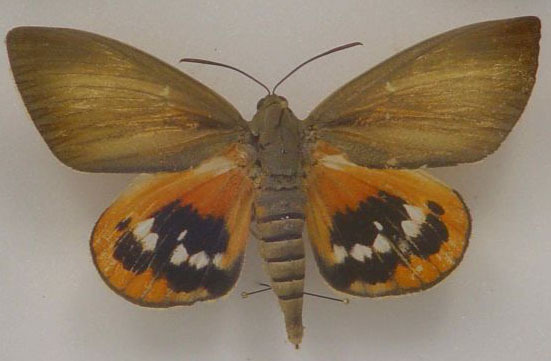 Adults: Wingspan 9-11 cm; forewing color olive brown; hindwing color brightly colored with red, black, and white markings; females with a large ovipositor; antennae clubbed. 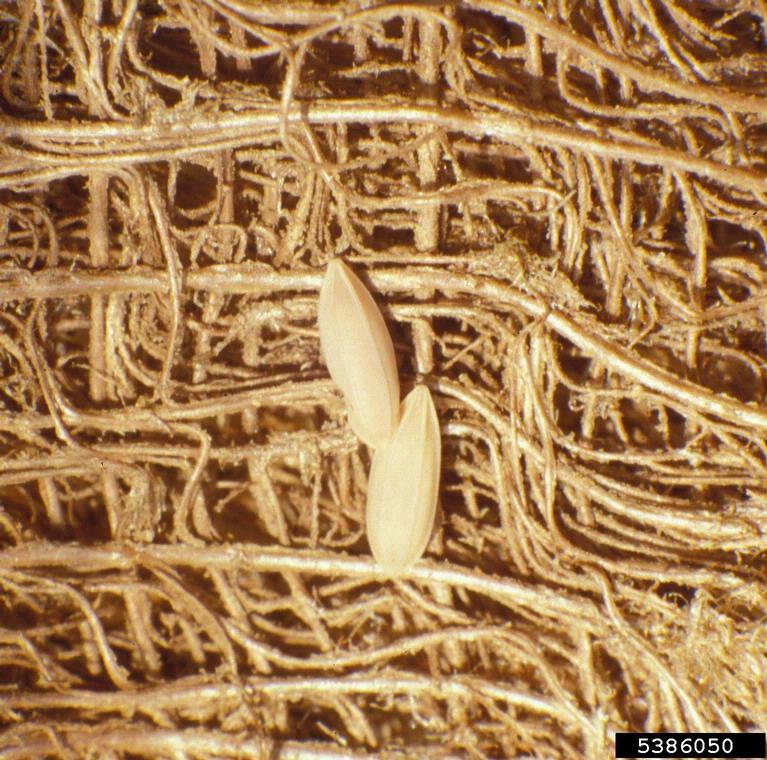 Eggs: Length 5 mm; color cream with longitudinal ribs. 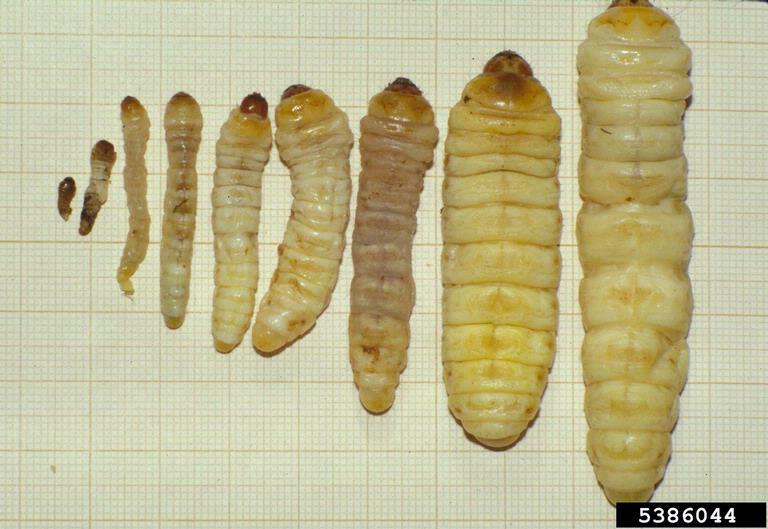 Larvae: Length 6-7 cm; body color pink in early instars, white in later instars. 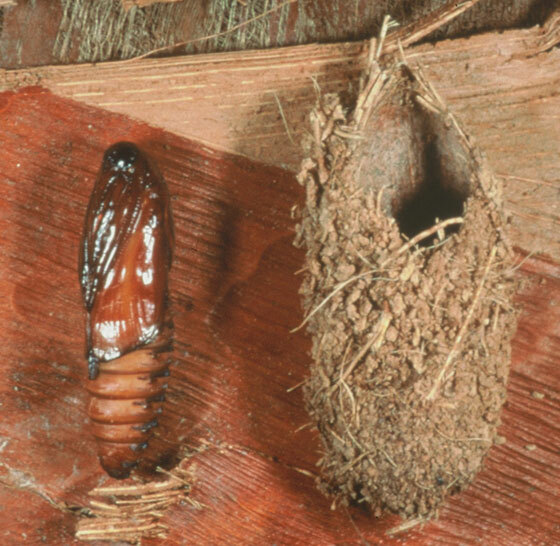 Pupae: Pupation takes place within gallery inside cocoon made of plant fibers. 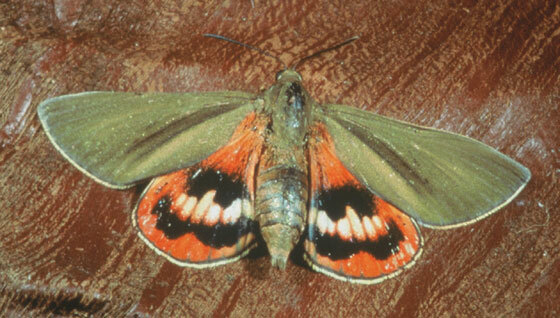 Adult: Wingspan 9-11 mm; hindwings are bright red with bold black and white markings, no eyespots present. Native: South America (Argentina, Brazil, Paraguay, and Uruguay). Introduced: Europe (Spain, France, Italy, United Kingdom). Not yet known in the United States or Caribbean. 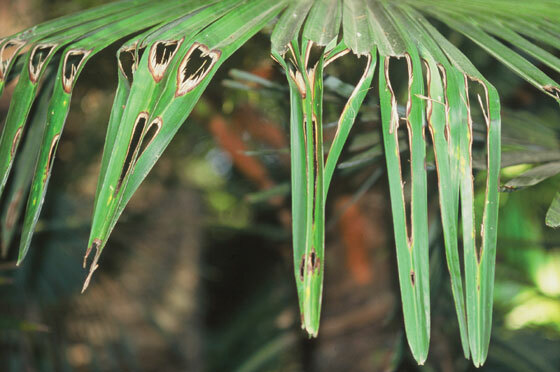 Movement of infested plants can ensure long distance dissemination. 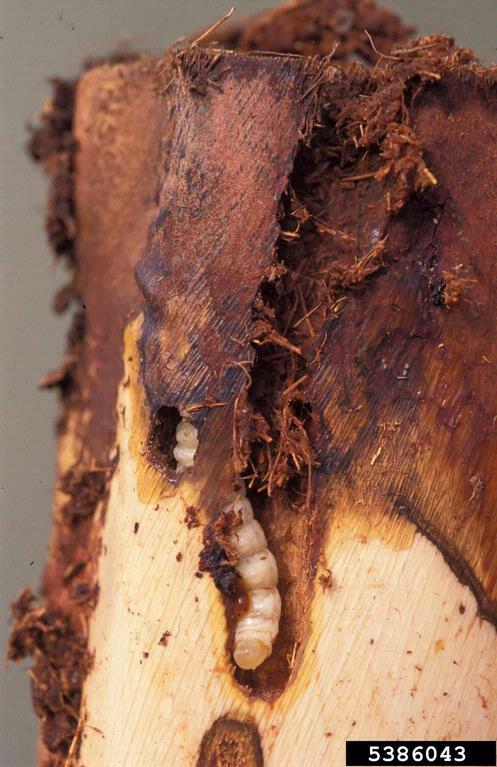 Larvae are difficult to detect in palm trees due to being hidden in stems. 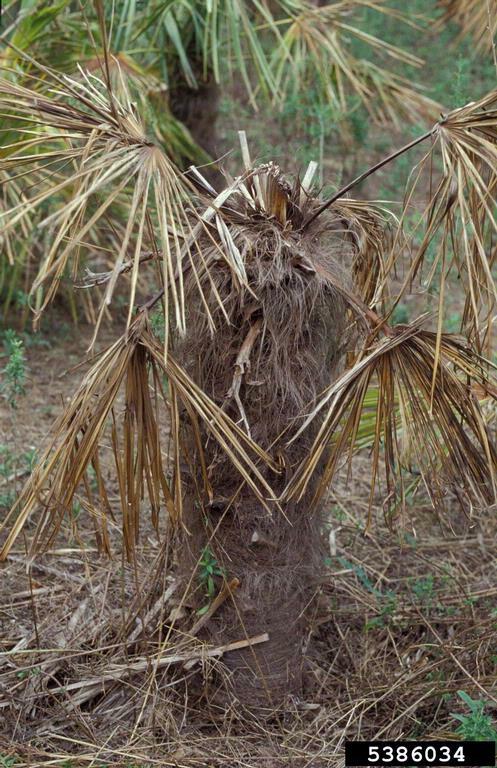 Oviposition takes place on the palm stem near the growing point. Larvae can be detected by the plugs of debris they leave behind at the outermost extremity of the gallery. 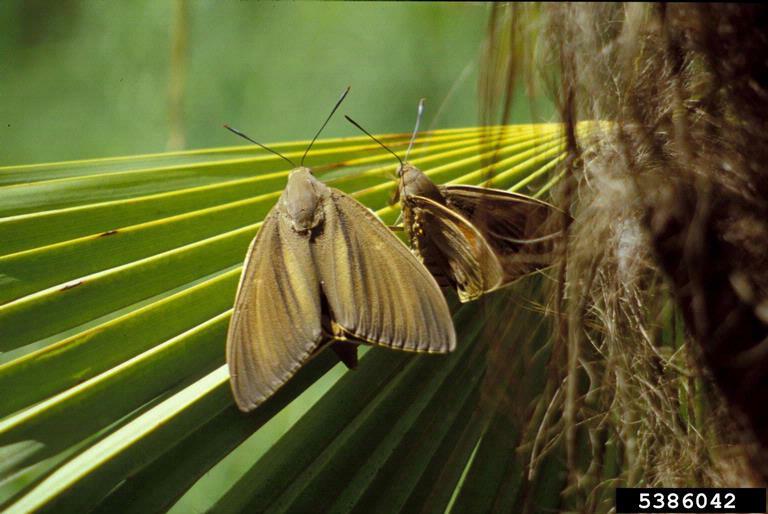 This moth flies by day and can easily be mistaken for a butterfly.